Our design team received a very challenging enquiry to provide a solution to a problem which was resulting in high maintenance costs. Our good work resulted in an order to produce 4 units. Working in a restricted space, we designed the cap and base with an angled part line to allow for easier assembly on site where conditions were harsh and accessibility restricted. The Flame-Cut Steel housing provided a stronger alternative to the previous Cast Iron housing and with easy to mount end covers, it really is one of our top designs. Bri-Mac can manufacture the entire HBND range in Cast Steel and SG Iron. November saw us ship HBND 3036 housings to a Steel Mill in Eastern Europe. We are finding that the Cast Steel option is becoming more popular due to the increase in its working life. 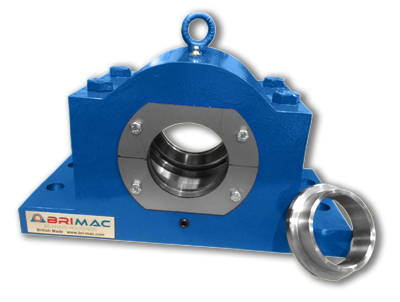 Bri-Mac specialise in custom Bearing Housings so when one of our customers required something special, Bri-Mac could deliver. Bri-Mac designed and manufactured a special Flame-cut SSNT 517 that is much wider than the standard range. Accommodating for 2 sets of bearings for that special application. 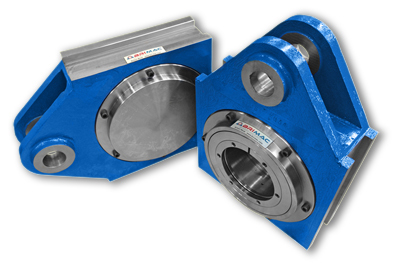 Made from high quality Steel with a solid base, These are custom Bearing Housings at their finest. An important customer in France contacted Bri-Mac with the need to upgrade their large Steel Mills. The customer required stronger Bearing Housings that would excel standard products. 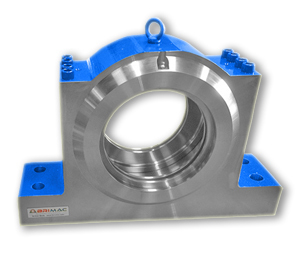 So Bri-Mac designed new stronger Bearing Housings with a solid base and with extra material surrounding the bearing. 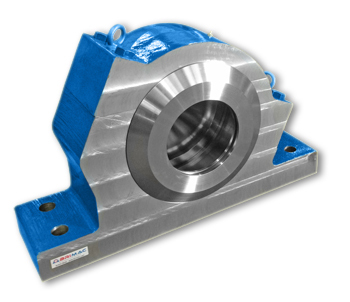 The customer was satisfied with the stronger Cast Steel Bearing Housings that Bri-Mac supplied and plan to upgrade more Mills with the same product. Bri-Mac completed and despatched high quality Cast Steel THD Bearing Housings to a new customer in Canada this month. 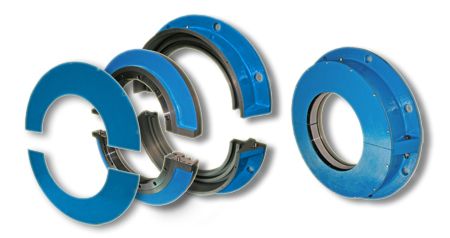 With a total manufacturing time of 4 weeks Bri-Mac are proud to seek out new customers and showcase excellent customer service by supplying high quality Bearing Housings with rapid delivery. 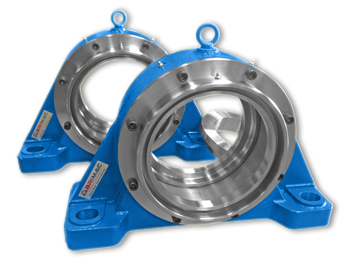 An important customer in Germany had a breakdown and needed to replace their cast SG Iron Bearing Housings. 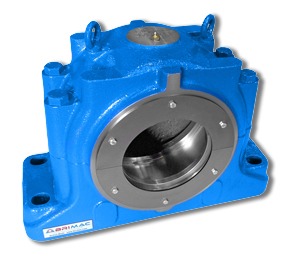 Bri-Mac responded quickly by producing replacement Bearing Housings made from Flame-Cut Steel. We managed to design, source material, manufacture and deliver our product within 4 weeks from receiving their order. 'Not only did Bri-Mac react quickly to their needs, but we replaced their housings with a stronger product' said Andrew Holdnall - Chief Designer. A large gold mine in South Africa contacted Bri-Mac requesting a split sealing system that can be replaced without dis-assembling their large Mill. We took a standard Labyrinth seal and designed it so it can be split. Because the Mill operated in a harsh condition, Bri-Mac also incorporated a split dust cover over the seal for extra protection.